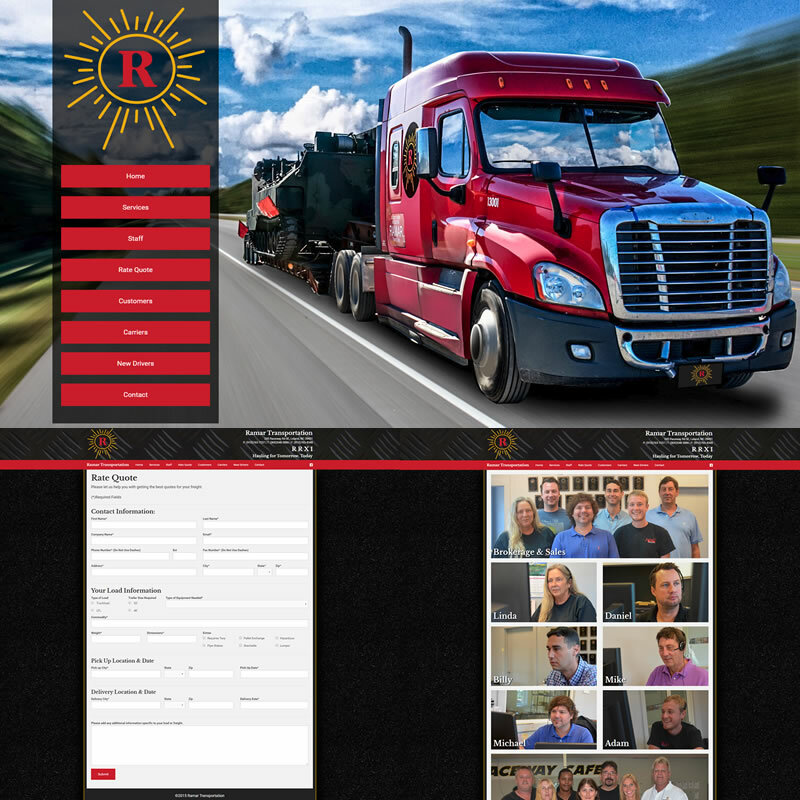 Like a lot of places, Ramar Transportation had someone in-house that built a website for them, but they were ready to move up. Akira Media Designs built a new, responsive website for them with a design that matched who they are. The photo of the tractor trailer on the homepage was a composite of four different images which, in the long run, was a lot safer than me hanging out the side of a mini-van taking pictures on the I-140 bypass at 70 MPH. But that might have been fun.